*These are a new line of buttons we're offering that are not sanded on as many grits as our buttons normally are, so that we can offer them more affordably to you. A great deal! 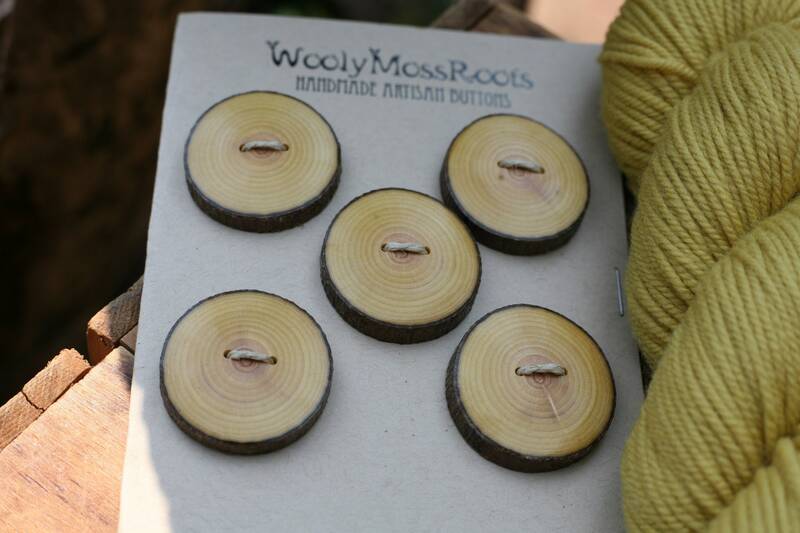 These handmade wooden buttons were created by my husband Jeff in buckthorn wood. 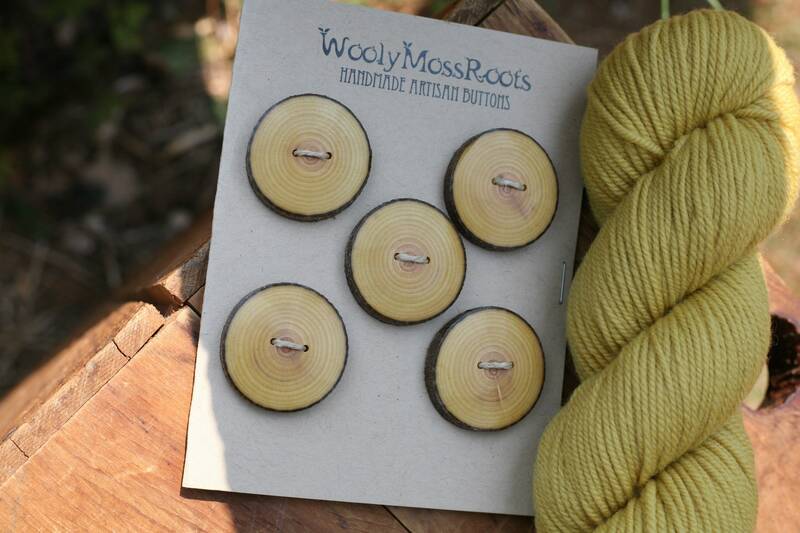 This wood is naturally this bright, cheery yellow color- I love it! We got our buckthorn wood from the Midwest, where it is invasive. I love the rings of growth and the natural bark around the edges. 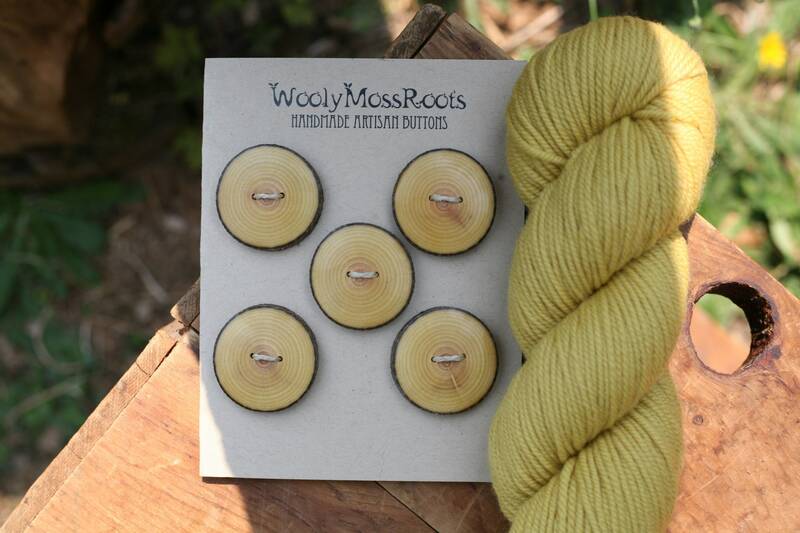 Jeff sands and polishes these buttons until they're smooth, you'll love the way they feel. 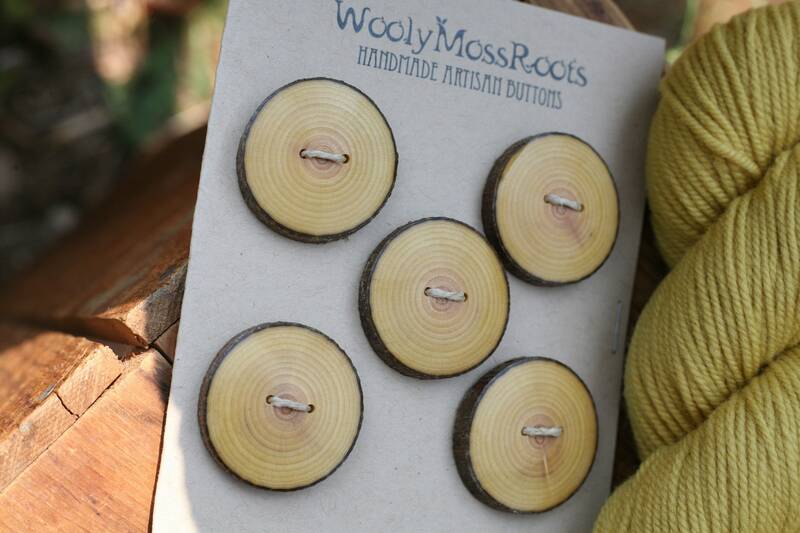 These buttons went through process to help keep the bark on, more on that below. 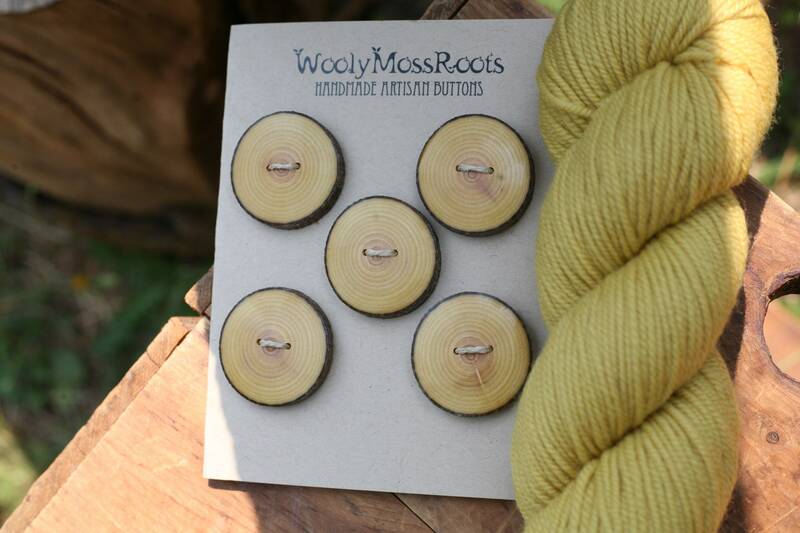 Pictured with yellow yarn, these buttons would go well with many different colors. Measurements: Between 1.25 and 1.5 inches wide.